How do I transfer music from old iPod or iOS device to my new iPod or iPhone? Click "Backup All" and then select to "Backup Content into iTunes"
You can download the free demo of TouchCopy below, allowing you to trial the software. 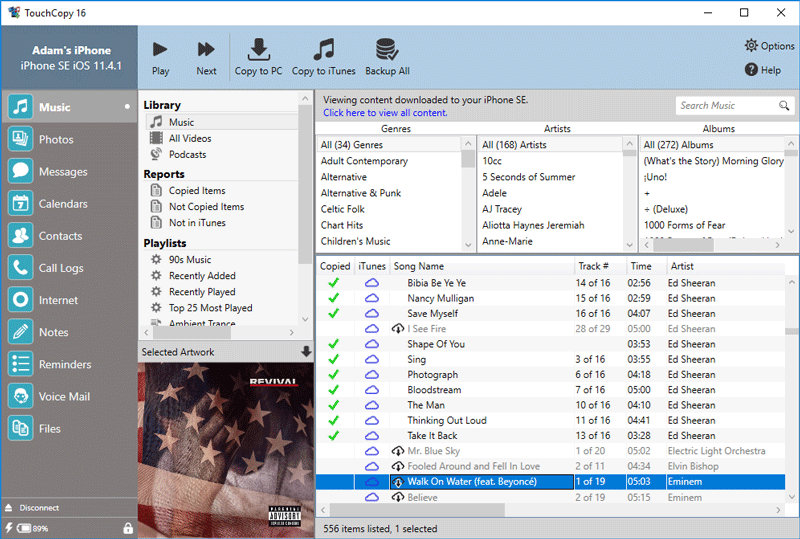 Backup All: Copy all Music, Video, TV Shows, Podcasts and Playlists from your device to iTunes. When you are satisfied that all your media is safely in iTunes, use iTunes itself to sync all that content with your new iPod/iPhone. This will load your new device with the content of your old device and let you add any new iTunes downloaded content to it. Please check out Apple's support article for detailed steps on how to sync your updated iTunes library with your device. Having troubles syncing iPod with iTunes? Don't worry, find out how to sync your device with iTunes safely.